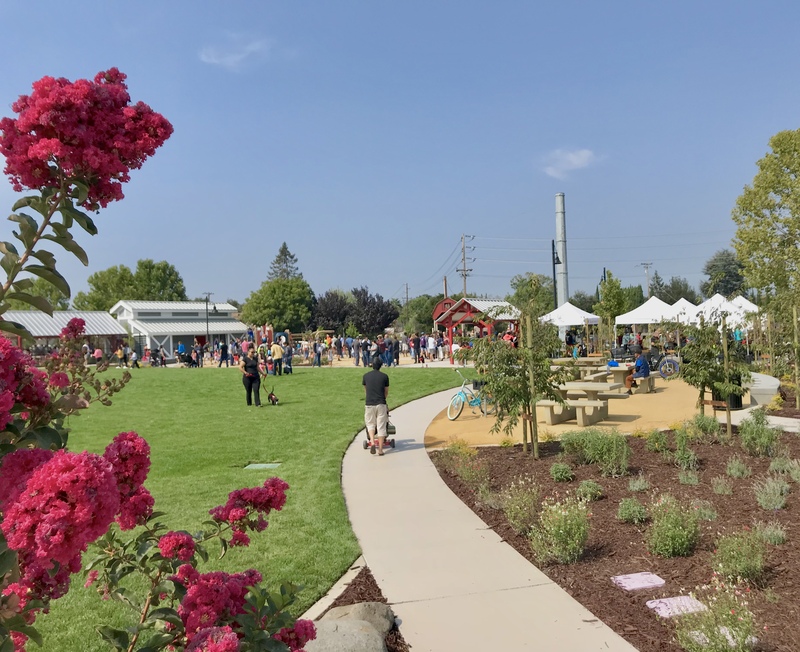 The San Tomas & Monroe Neighborhood Park and Community Garden’s grand opening was held on Saturday, Aug. 25 at 10 a.m. Along with a formal ribbon-cutting ceremony, there were also several self-guided activities available for both kids and adults. The park features playgrounds, restrooms, picnic tables with BBQ pits, community gardens, outdoor classrooms and an off-leash dog area. 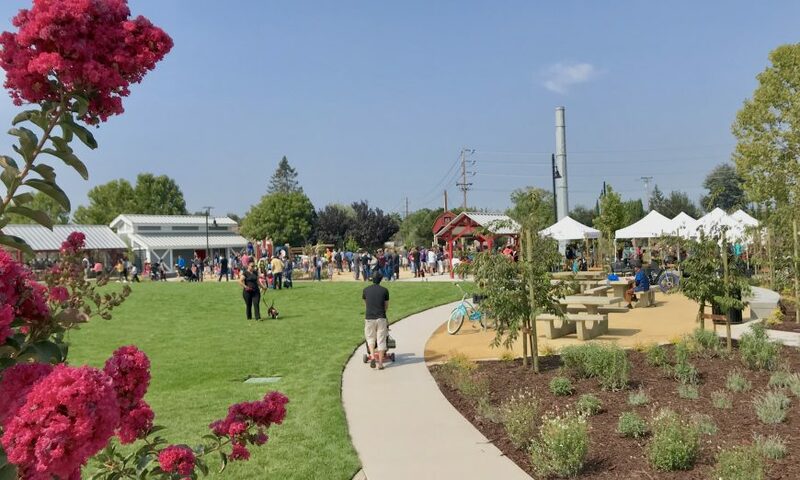 “A compass incorporated at the center of the park shows true north for Santa Clara — it symbolizes a clear direction for our City,” said Gillmor. Many organizations and members of the community supported the grand opening. 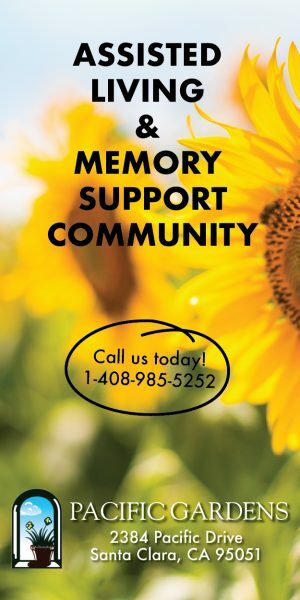 University of California Master Gardeners: Two members of the UC Master Gardener program, Diana Bebbington and Jill Willard, were providing information on the community garden. Master Composters: Along with a live demonstration of worms, the Santa Clara Master Composters also had examples of what items can be composted. Open Space Authority: Having contributed nearly $425,000 to the San Tomas Park, the Open Space Authority had prizes for spinning a wheel and answering questions about California native wildlife. Zume Pizza: The artisan pizza restaurant chain recently opened their Santa Clara branch on Aug. 22. Along with offering free slices to participants, Zume Pizza was also offering knick-knacks like coasters. Santa Clara Valley (SCV) Beekeepers Guild: Elizabeth Victor and Tom Freits, treasurer of the SCV Beekeepers Guild, were passing out free samples of honey sticks. They also had bottles of honey for sale. As a non-profit promoting urban beekeeping, the guild had a live bee colony on display.